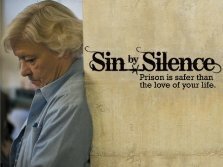 (13 min) From behind prison walls, SIN BY SILENCE reveals the lives of extraordinary women who advocate for a future free from domestic violence. Inside California’s oldest women’s prison, the first inmate-initiated and led group in the U.S. prison system was created by inmate Brenda Clubine to help abused women speak out and realize they are not alone. Over the past two decades, the women of Convicted Women Against Abuse have changed laws for battered women and raised awareness for those on the outside. SIN BY SILENCE is an emotionally packed documentary that tells the personal and shocking stories of these courageous women who have learned from their past, are changing their future and, most importantly, teach how domestic violence affects each and every person. In this interview, Director/Producer Olivia Klaus, Co-Producer/Editor Ann-Caryn Cleveland, and Brenda Clubine talk about the making of the documentary, the achievements of Convicted Women Against Abuse, and the uses of documentary film and survivors voices for awareness-raising and prevention work.